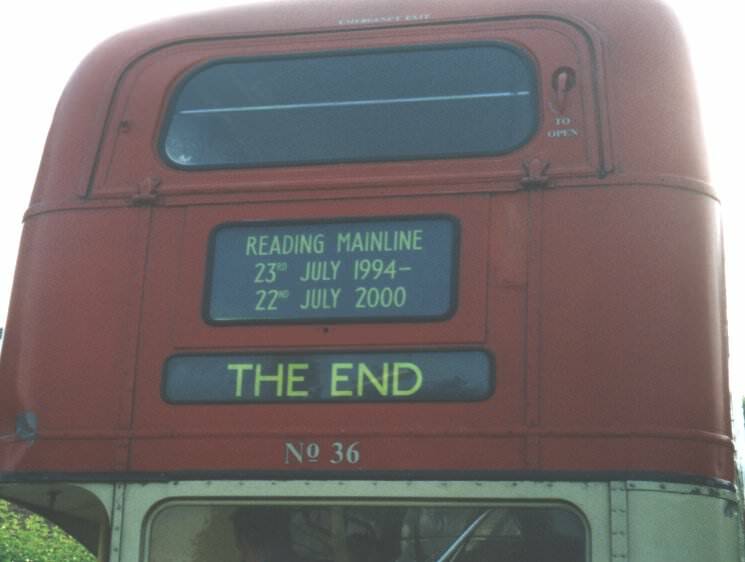 For four years Reading Mainline operated as an independent concern with a fleet of crew operated Routemaster buses on an expanding network of routes in competition with incumbent municipal Reading Buses. 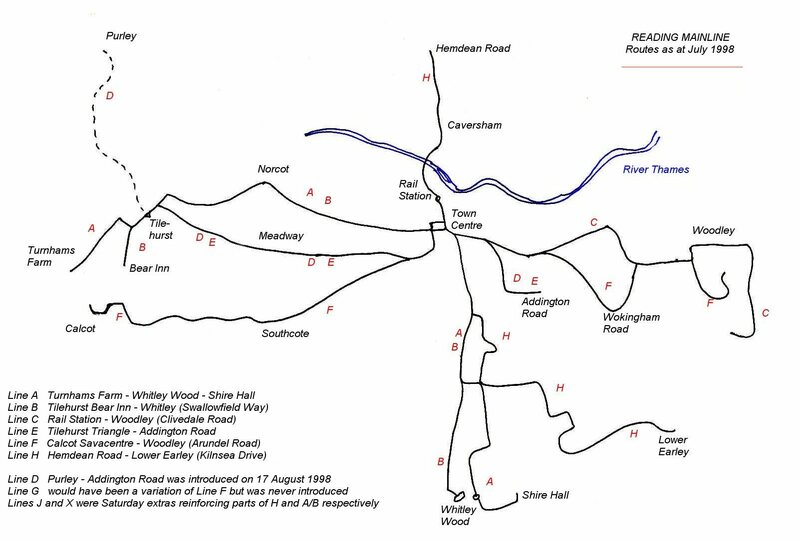 Starting on 23rd July 1994 on Line A from Turnhams Farm via the town centre to Whitley Wood, the crew operated Routemasters had a speed advantage over Reading Buses fleet of exclusively one man operated vehicles. The initial response by Reading Buses was to introduce a new service in duplication, route number 1. This used new Metro-Rider minibuses and had distinct Fast-Line branding coupled with limited stops, and was timed to run just in front of Mainline buses. Progressively Mainline expanded its routes to cover most parts of the town, especially the routes that had once been operated by corporation trolleybuses in earlier years (the trolleybuses were finally withdrawn in 1968). New operator Reading Mainline then gave birth chronologically to Lines A, B, E, H, F, X, C, J in order of their introduction. But as these further routes were introduced Reading Buses retaliated by starting a low cost operating unit, which ran from the former engineering works at Kenavon Drive. These anonymous unbranded minibuses brought the competition back as response against Mainline services E, H and F.
The business philosophy on which Mainline was based was that a crew operated vehicle could operate a faster service stop for stop than a one man vehicle, and with the reduced running times, coupled with passenger friendly buses with conductors, a more productive operation would ensue, needing fewer vehicles (and thus crews) overall. The increase in productivity would offset the cost of the second wage for the man on the back; whether this was achieved may be doubtful. 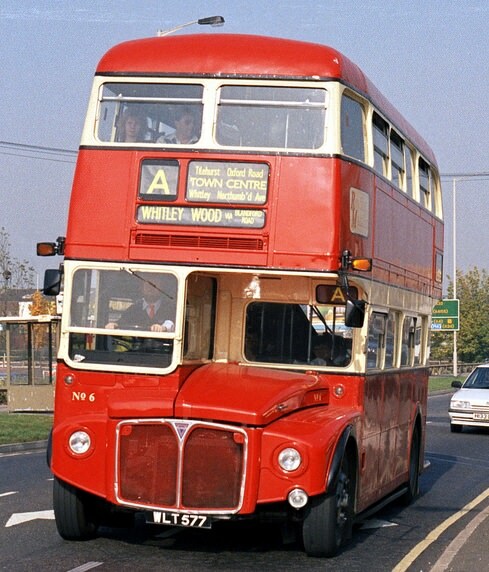 Routemasters could also penetrate further into housing estates, into "dead end terminals" if needs be, because the conductor was available to assist the driver in reversing manoeuvres. All routes other than Line C operated across the town centre. Sadly after a period of sustained driver shortages had begun to impact on the services - Reading being a town with a low rate of unemployment - it was announced in May 1998 that Mainline was to merge with Reading Buses, although Routemaster operation would still be continued for some time as part of the arrangements for the buy-out. So Mainline was purchased by incumbent Reading Buses for a cost in total of £700,000, including £250,000 for the vehicles and depot with £450,000 in accrued debts. Mainline's depot and base was in Cardiff Road and when the lease expired in 1999 it was decided that all the buses should be moved to the new Reading Buses depot in Great Knollys Street. There were at the time twenty four operational vehicles in the Mainline fleet. 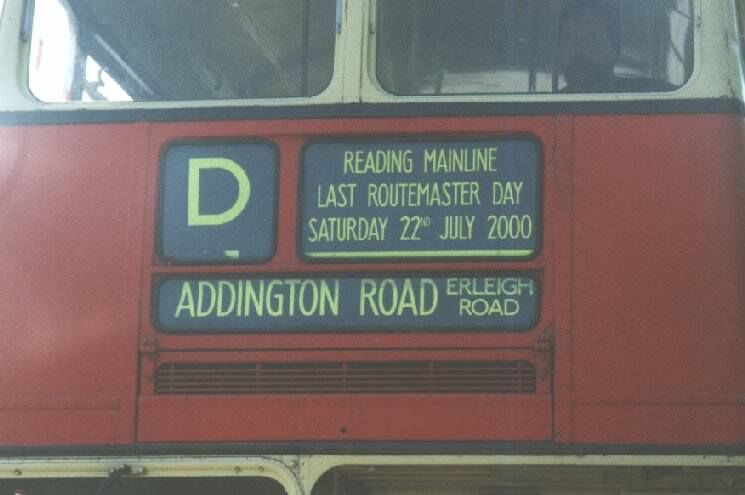 The end of the inter-regnum period finally came and during the summer of 2000 the Routemasters disappeared from the streets of Reading - the vehicles having already been advertised for sale. On 22nd July, on the sixth anniversary of the start-up, it was all over. Mainline founder Mike Russell said at the time that he would write a book to tell more of the story one day, but it has not yet appeared. It all started with Line A in July 1994, and then grew through an alphabet of destinations to reach most parts of the town. 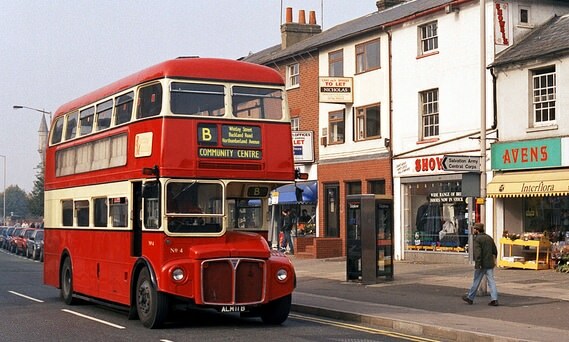 But now for over a decade the sight of Routemasters on the streets of Reading is just a fond memory. The sixth anniversary of the start-up was also to be the last day of operation (Saturday 22nd July 2000), with lines D, E and F being the last to run. Line C had gone in June and line A went back in February. The very last scheduled Mainline trip was the 6.40 pm departure from Woodley (Clivedale Road) on line F to Reading Station. It left about fifteen minutes late after a lot of photos had been taken and was preceded by two extras. A crowd of about 200 people were waiting at the depot to see founder Mike Russell drive the last Mainline RM into the garage and the history books. (Some of the RMs were destined to return to further service in London for eventual operation on heritage routes 9 and 15). The last car in was No 36, 735DYE. Special Last Day ride at will tickets had been on sale for £3.50 and all the buses carried "Last Routemaster Week" legends; special blinds, black ribbon on the wing mirrors and grab rails, wreaths on the radiators - these typified the last day.